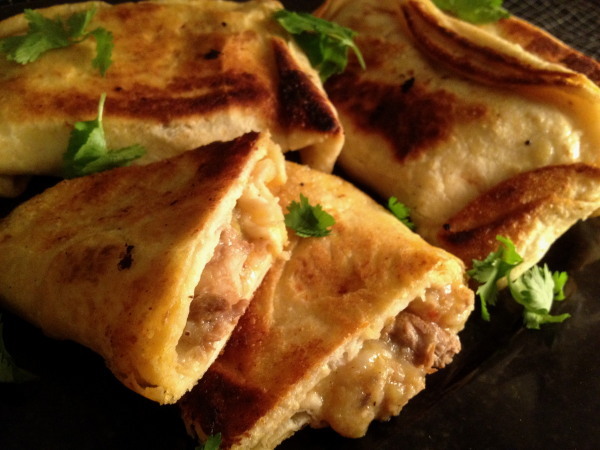 Leftovers do double duty here in the form of tasty, handy empanadas! Heat cast-iron or other skillet over medium-high heat. Heat tortillas in microwave 10 seconds, or until pliable. Combine stew and potatoes in a bowl. Spoon 1/4 cup of mixture in center of 1 tortillas. Season to taste with salt, pepper, and Slap Ya Mama to taste. Brush edges with egg wash. Fold tortilla over, pinching closed, then fold in sides, then top. Repeat with remaining tortillas and filling. Heat oil and/or lard in skillet until slightly shimmering. Pan-fry empanadas, in batches if necessary, 3-4 minutes per side, until browned and slightly crisp. Drain on paper towels. 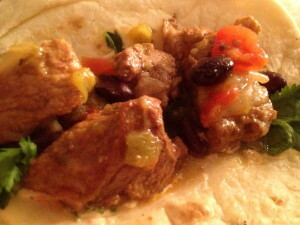 Serve with cilantro, if desired, and fresh salsa. **I actually skimmed the fat from the top of the chilled, leftover pork stew and mixed it with vegetable oil to pan fry these. Delicious! In a large, non-reactive container, combine pork, salt, peppers, and seasoning. Combine marinade ingredients in a cup. Pour over pork, tossing well to coat. Cover and marinate at least 1 hour, or overnight. Toss marinated pork with flour; set aside. Heat a large Dutch oven or ovenproof pot over medium-high heat. 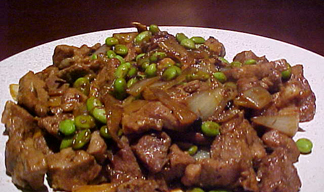 Add vegetable oil, and when shimmering, add pork, in batches if necessary, to brown evenly. 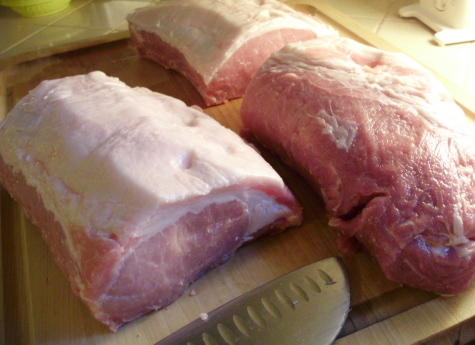 Remove pork with a slotted spoon as it browns. Pour off all but 2 tablespoons fat from pot and add onions. 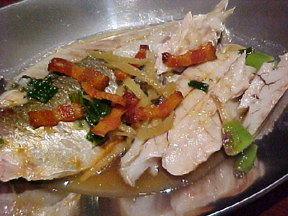 Cook until slightly fragrant, about 1 minute. Add garlic, tomatoes, chiles, cumin, oregano, and chicken stock. Add pork. Stir, and bring to a boil. 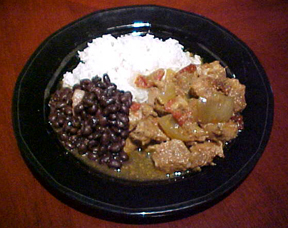 Cover and simmer until pork is tender and liquid is reduced and thickened slightly, about 1 1/2 hours. Check seasonings, and serve with tortillas. Garnish with cilantro, if desired.